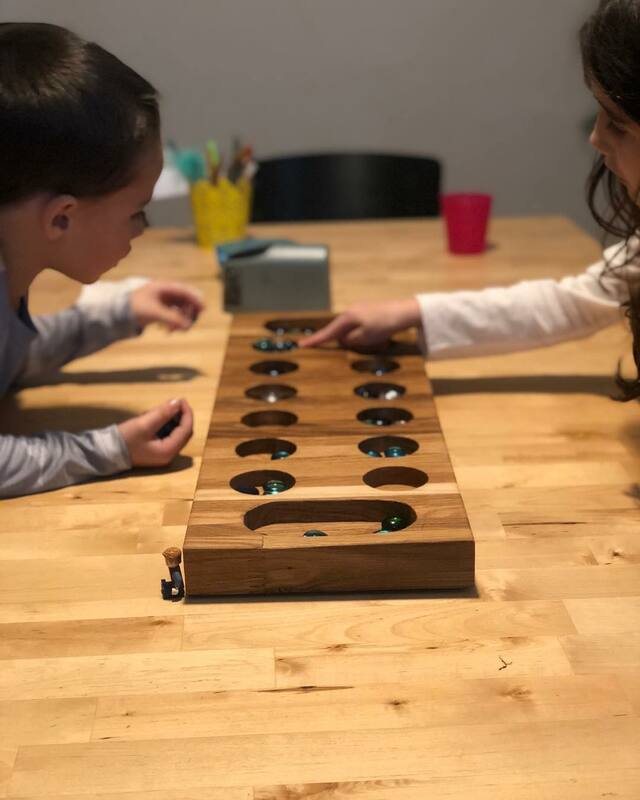 A primary motivation of establishing Mancala Games was to join the movement away from digital devices. Even Google's newest Andriod mobile operating system includes ways for us to track and limit our digital device usage. As society attempts to become more aware of our actual surroundings a demand for "offline" human interactions will increase. 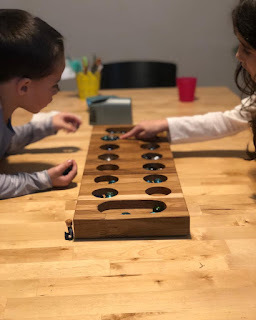 Although, almost every board game ever created has an "App for that", board games are meant to be played using all of our senses. 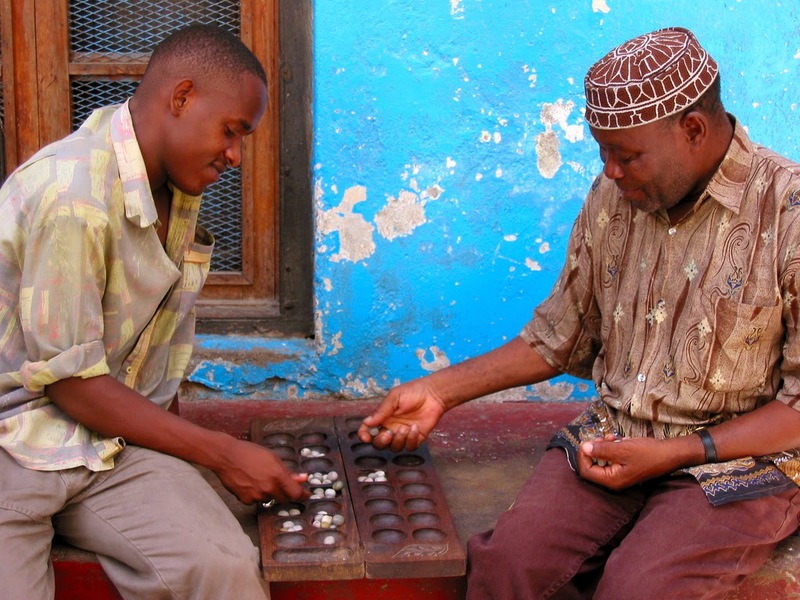 Humans have evolved through natural selection with two dominating traits that attract us to board games: problem-solving and pattern recognition. Combine those traits with some friendly competition and a little free time and have the perfect recipe for the birth of a board game. As our self-awareness evolves, engineered digital games will eventually exhaust their tactics to keep our attention. We will eventually become wise to the fact that staring into and tapping a smooth back-lit surface that radiates radio waves may not best for our health. After all, our fingers were designed to experience texture, our eyes were designed to see three-dimensional unpixelated objects, and we all desire companionship. These realizations will be the revitalized driving force behind the continued demand for board games. Playing a family board game around a kitchen table in the evening with some low amber lights or candles, and maybe a glass of wine is the recipe for a good time. Take time to feel the weight and texture of the game pieces and let your eyes adjust to the depth of a "front-lit" game board. Soak up some good conversation, both verbal and non-verbal queues, and enjoy the game!